On 7 October, Union Home Minister Rajnath Singh is set to kick off his two-day visit to the border districts of Jaisalmer and Bermer in Rajasthan. 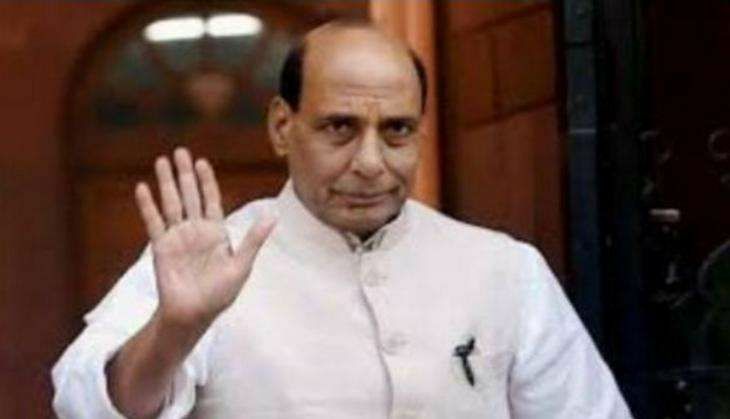 The Union Home Minister will chair a meeting with Chief Ministers and Home Ministers of Rajasthan, Gujarat, Punjab and Jammu and Kashmir on the sealing of India-Pakistan border at the Border Security Force's Sector headquarters (North) in Jaisalmer. Later, Singh will visit Murar Border Outpost (BOP) in Jaisalmer district and interact with BSF jawans. On Saturday, the Union Home Minister will visit Munabao BOP in Barmer district and also interact with jawans there. Out of 2289.66 km of Indo-Pakistan Border (IPB), 2034.96 km has been covered by physical barriers, including fencing, and the remaining 254.80 km of border is planned to be covered by physical and non-physical barriers shortly. There are stretches in which construction of physical barriers is not feasible due to geographic constraints such as riverine, low-lying, creek and marshy areas. In this stretch, it is proposed to deploy technology solutions, including deployment of cameras, sensors, radars, lasers, etc. The BSF is testing the available technologies through pilot projects in the Jammu region, Punjab and Gujarat. The paramilitary force is in the process of rollout of a Comprehensive Integrated Border Management System (CIBMS) for this stretch of IPB, which is due to be undertaken in a year's time. The Indian side of the IPB, which is 3,323-km-long, passes through the states of Gujarat (508 km), Rajasthan (1,037 km), Punjab (553 km) and Jammu and Kashmir (1,225 km). Out of the 3,323-km border with Pakistan, about 2,289.66 km of the International Border (IB) is under the operational control of the Ministry of Home Affairs. Apart from the IB, there is a Line of Control (LoC), which is under the operational control of the Ministry of Defence.